BIONICLEsector01, or BIONICLEsector01 Wiki (BS01 for short) is the Internet's largest and most accurate reference site and wiki dedicated to BIONICLE. What is BIONICLE? BIONICLE was a LEGO toyline that sold during the years 2001 through 2016. For more information, please visit our BIONICLE page. Our mission is to record every known fact and figure about BIONICLE. We do this through the use of Wiki software and through the help of our devoted staff and users. To learn more about the history of the site, visit our history page; to learn more about the staff, and who to contact, visit our administrators page. BS01 is a not-for-profit enterprise. We are entirely self-run, and self-funded. However, we greatly appreciate any and all donations! Please click the button to the left of the screen if you would like to make a contribution. All proceeds go directly into funding server costs and Wiki maintenance. Becoming a member is free and easy - just click this link or get started at the top-right of the page. Be sure to check the BS01 Policy before you edit anything - it provides the guidelines for the content posted. If you are not sure of how to do a page layout, you can read the Page Setup Policy to find out. Also, use our tutorial for information on how to create, format, and edit pages! BZPower - An RLOC and the largest BIONICLE forum on the web. Brickipedia - An RLOC and the largest wiki dedicated to all LEGO sets. TTV - LEGO news and media site. 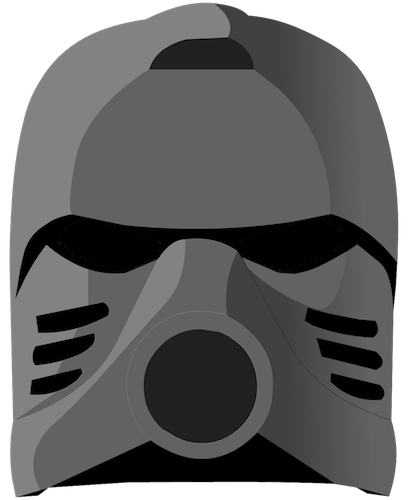 BioMediaProject - Non-profit, fan-operated archive of BIONICLE web and promotional media. Brick Insights - LEGO review aggregate website. All sets with reviews in our Set Database use Brick Insights to display information. BIONICLE, LEGO, and terms used within this site are all trademarked or copyrighted, belong to their original owners, and may not be used without permission. Original works belong to BS01. Please see BIONICLEsector01:Copyrights for more detail. For our published Set Reviews, we always note when a set has been provided by LEGO, but that the reviews and opinions belong to the reviewer and are not sponsored by LEGO. This page was last edited on 29 March 2019, at 06:50.